I was originally going to draw this for another art contest, but it was over by the time I got around to it, and I guess there isn't enough dark background with light lineart contrast on it anyways. I never actually read the book until recently. 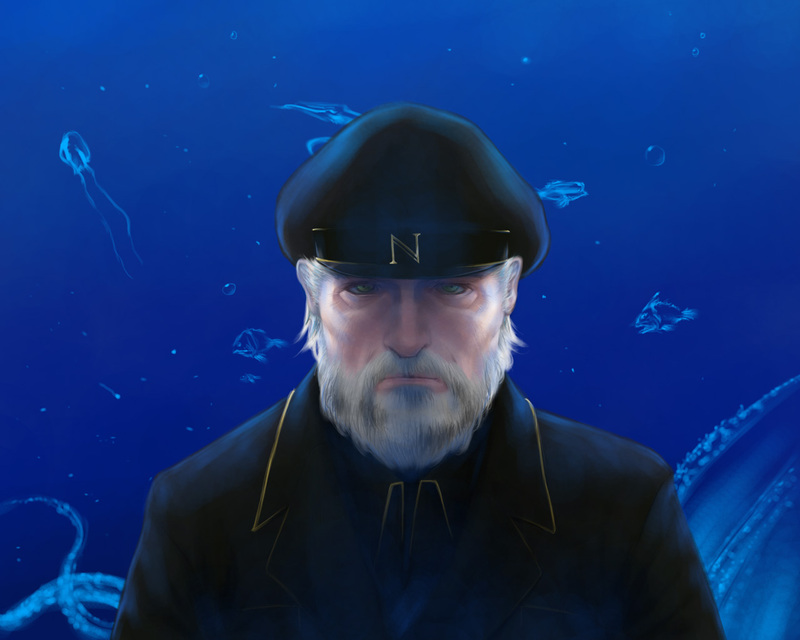 I don't also know if he ever saw any bioluminscent creatures, but that's up to speculation. umm ok. dont know who this is but you are awesome with real face features.